The venue for the 18th Wind Integration Workshop is the Crowne Plaza Dublin Airport, located just minutes away from Dublin Airport which you can reach with the complimentary airport shuttle bus. You can either take a taxi or use the complimentary hotel shuttle to/from the airport. Please check the timetable here. The buses that operate close to the hotel are: 33, 41, 41c and 16. The 16 takes a bit longer to go to the city centre so the best option is one of the other three lines. The busses run approx. 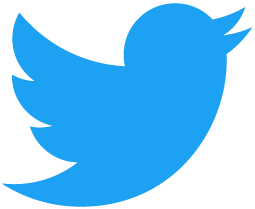 every 20 minutes. The fare per adult is €3.00 and the driver accept only coins – they don’t give change either. PLEASE NOTE: The special rates for the following hotels are available until 19th August 2019! For a reservation at the Crowne Plaza Dublin Airport (conference venue) please use the booking link or contact the hotel directly via email or phone. The group code is already built into the booking link. All 209 bedrooms are all supplied with complimentary Wi-Fi, satellite TV, black-out shades & work space for your comfort and convenience. 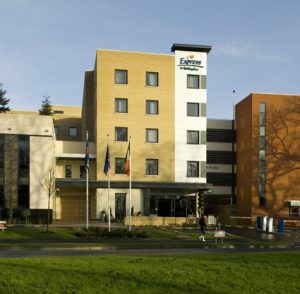 Enjoy this hotel located within the 85 acres of the mature woodlands of Northwood Park, Santry. The Holiday Inn is right next door to the Crowne Plaza and the hotels co-operate. For a reservation at the Holiday Inn Express Dublin Airport please use the booking link or contact the hotel directly via email or phone (same as for the Crowne Plaza). 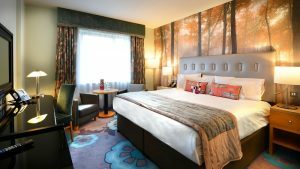 The Holiday Inn Express is a conveniently located, contemporary & stylish airport hotel in Dublin, offering some of the best rates available with breakfast included. Avoid the stress of early morning travel to Dublin Airport, the Holiday Inn Express offers residents a free airport shuttle service to and from Dublin Airport. Located within the 85 acres of the gorgeous & mature Northwood parkland, while still only being less than 3km from Dublin Airport and 15 minutes from Dublin City Centre, the Holiday Inn Express is the ideal location for your stay in Dublin. All 214 bedrooms are all supplied with complimentary Wi-Fi, satellite TV, black-out shades & work space for your comfort and convenience. 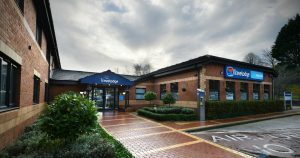 For a reservation at the Travelodge Swords please contact the hotel directly via email or phone referencing the conference name “Grid Integration Week”. The Dublin Airport North ‘Swords’ hotel is just a mile from the airport. All rooms feature a comfy king size bed with four plump pillows and a cosy duvet as well a complimentary WiFi.